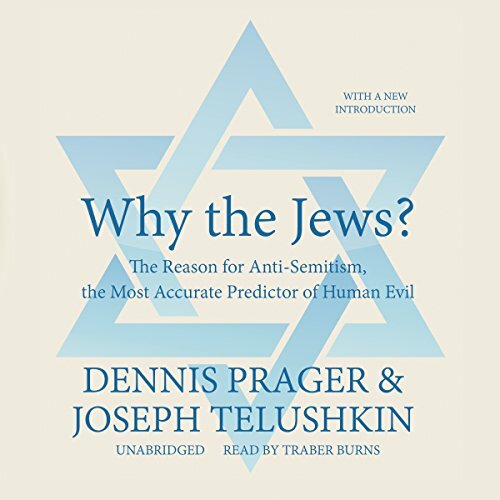 In this seminal work that has spent more than 30 years in print, Dennis Prager and Joseph Telushkin explain the reasons behind anti-Semitism, the world's preoccupation with the Jews and Israel, and why now more than ever the world needs to confront anti-Jewish sentiment. Why have Jews been the object of the most enduring and universal hatred in history? Why is the Jewish state the most hated country in the world today? Drawing on extensive historical research, Dennis Prager and Joseph Telushkin reveal how Judaism's distinctive conceptions of God, law, and peoplehood have rendered the Jews and the Jewish state outsiders and labeled them as threatening. 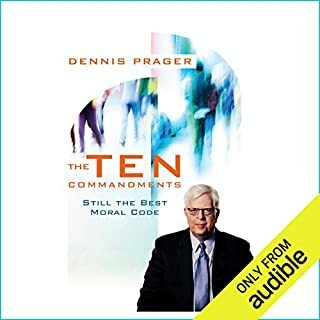 But as Prager and Telushkin are quick to point out, anti-Semitism is not just another ethnic or racial prejudice and is not caused, as so many people falsely believe, by Jewish economic success or the need for scapegoats. Rather, anti-Semitism today, as in the past, is a reaction to Judaism and its distinctive values. 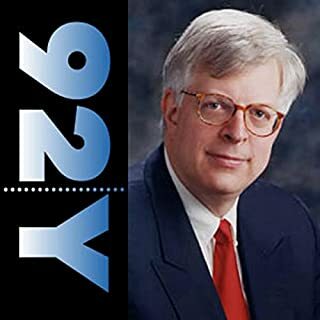 Prager and Telushkin examine in detail how anti-Semitism is a unique hatred - no other prejudice has been as universal, deep, or permanent - and how the concept of the "chosen people" spawned that hatred. They also explore the role of non-Jewish Jews, such as Karl Marx and Noam Chomsky, in provoking anti-Jewish animosity. In Why the Jews?, Prager and Telushkin identify the seven major forms of anti-Semitism - pagan, Christian, Muslim, enlightenment, leftist, Nazi, and anti-Zionist - and explain why it is impossible in today's world to be an anti-Zionist without being an anti-Semite. With an eye on the larger picture, Prager and Telushkin express why anti-Semitism threatens more than just Jews and what kind of changes are necessary to achieve a world without hatred. 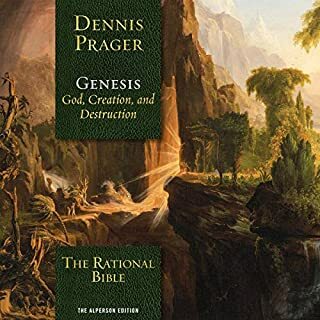 ©2016 Dennis Prager and Joseph Telushkin (P)2016 Blackstone Audio, Inc. Essential historical account of antisemitism's roots and why it persists across disparate cultures and peoples. We traveled to Israel 3 weeks ago and were impressed with the safety, serenity, and joy of the Jewish people, in spite of being surrounded by hostile countries and having their enemies live among them also. We walked through all the quarters of the Old City: Armenian, Christian, Muslim, and Jewish. The differences between them is stark. Where were we welcomed? Where did we feel safe? Only in the Jewish quarter. We came home with the nagging question, "Why are they so hated?" Finally moved to find out, we listened to this book. The research that went into it is evident. Names, places, dates, circumstances, and outcomes are laid out and easily understood. The narration is dry but does the job. This isn't a novel, after all. 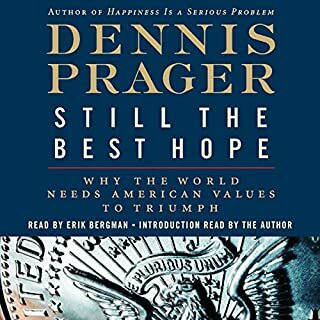 First book I've read by Dennis Prager although I visit his website often. This book has made me think things through and cleared many things up. I plan on doing more studies in this area and pray that we get a better understanding on this issue while the west still has some freedoms. Loved this overview of the human root cause and history of anti-semitism. I think they missed one big thing, though, and that's the spiritual warfare aspect of it all. It seems very clear that the Enemy wants to do away with God's chosen people. Initial dismissal of reasons for antisemitism was a little too fast and careless to sustain a solid bridge from antisemitism, but for the severity of the context of the offenses of antisemitism. I never knew how deep it was! The history revealed in this book struck me deeply. The fact that so many people in so many cultures believe so many things that are just not true -- more evidence to me that God is real and He has His people. 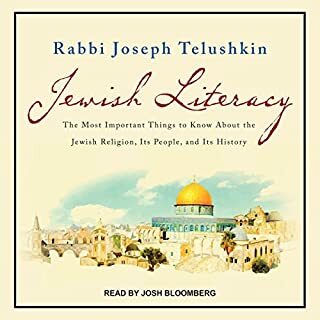 I enjoyed the thorough history of Judaism and application to our day. 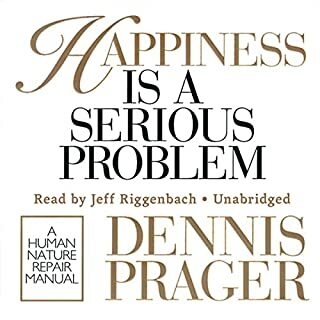 I would like to have heard it read by Dennis Prager himself. The story is so well organized that it becomes a profound learning experience. I’ve never understood why the Jews have been constantly persecuted. This book provided me with the answers. sparse on the origins of anti semitism, good review of European antisemitism and zionism. good rehash of defense of Israel.